My husband had an affair right after I gave birth to our daughter. And it was the best thing that ever happened to me. I know that door. A few weeks after giving birth to my first baby, I was wracked with pain. So much so that I could barely move. Swinging my legs, one after another, out of bed took nearly all my will power. This pain had nothing to do with the physical stress of childbirth; the stitches still holding my swollen private area together. This pain came from a place so deep within me that I could not determine where the pain ended and I began. We were intertwined. It was all-consuming. It felt as if half of my DNA had been ripped out of my body and I was left with a dangling half strand. Half a person. Until that moment, I hadn't realized that my husband had become a part of me. But now, in his absence, I felt an emptiness where he had been. I knew I would never be whole again. 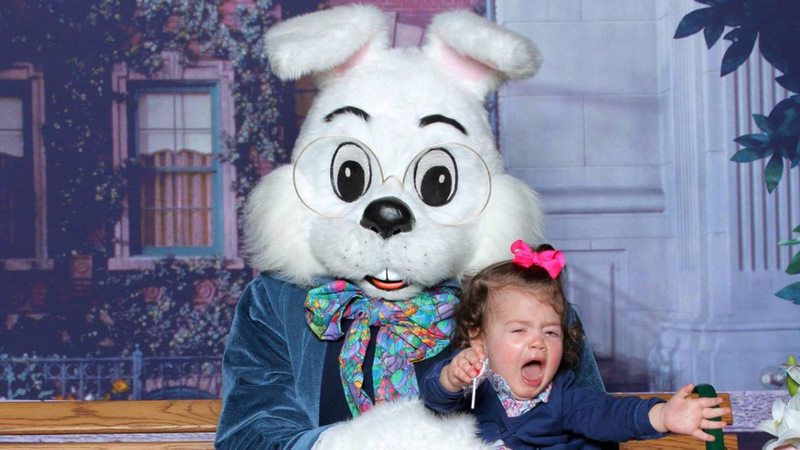 Almost immediately after giving birth to my daughter, I found out my husband was leading a double life. I was suddenly on my own with a newborn baby. I grieved him, and the future I thought we would have together, like a death. She raised her eyebrow, “Well, that makes sense. When you are processing a trauma, a lot of the ‘details’ of life fall by the wayside.” She told me that these moments of clarity are made possible precisely because you no longer have room for a lot of the crap you used to spend so much time thinking about. You are stripped clean. Before experiencing a profound trauma, I cared very much what people thought of me. And not just my family and close friends, everyone. Strangers even. I had trouble making decisions because I wanted to make sure that my decision would please everyone. Even navigating a grocery store could be stressful – all those strangers silently observing and judging me. Then for months, I was trapped in my own body, forced to sit in the pain. Let me be clear. When I say “sit in the pain” I mean, not running into someone else’s arms, not getting sloshed every night (though some nights is OK), not hiding behind work. Basically, not running from the darkness or trying to do whatever it takes to feel “good” again. We humans naturally try to avoid feelings of discomfort; anything that makes us feel bad, sad or down. Especially today, when instant gratification is just a click away on social media or a swipe away on an online dating app; when endorphins can be produced and manipulated simply by picking up an iPhone. People are even less likely to be still. To just feel. But as I sat in my pain, I slowly started to trust my own intuition. I became grounded in a very clear sense of self. When you begin to truly trust yourself and like yourself, you tap into an immense amount of power. You’ve always possessed this power, you just never knew how to access it. Eventually, you find yourself giving zero f&cks. I don’t mean you become mean or bitter or cold; I mean you find a power within yourself and that power is like an anchor, freeing you from a lot of life’s insecurities that seemed so important before. In a study published in the Journal of Traumatic Stress, Dr. Sharon Dekel says, “Post-traumatic growth can be defined as a workable coping mechanism, a way of making and finding meaning involved in the building of a more positive self-image and the perception of personal strength." The other side of pain is not comfort, or health, or well-being. It is truth. And when this truth comes pouring in, you begin to see all the grimy layers of protection lift away. You begin to let the light in and, what’s more, you begin to seek out the light. You begin to discover that your journey has just begun. So as much as I sometimes want to scream and rage at my ex-husband, I also want to thank him: For forcing me to become the person I was always meant to be. For showing me that I am a fighter and that I will never give up. And most importantly, for allowing me to become this person before my daughter ever knew anyone else. 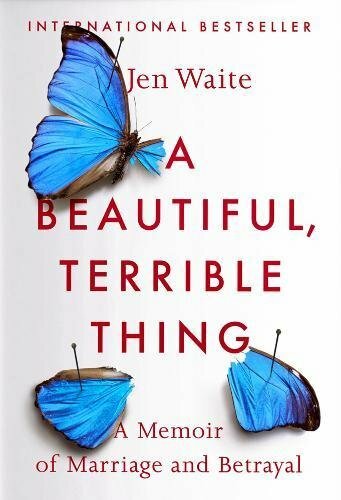 Jen is the author of "A Beautiful, Terrible Thing," a memoir detailing her suspicion that her husband and father of her newborn daughter is a psychopath. Jen Waite is a single mom living in Maine. She is moving towards becoming a licensed therapist, specializing in recovery from trauma, and is the author of the memoir, A Beautiful, Terrible Thing.